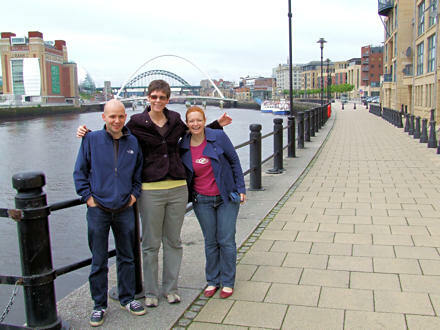 The lovely Jane with Kenny and Chris Fyfe on the Newcastle side of the banks of the River Tyne. What’s better than having great friends is getting to visit great friends once in a while. 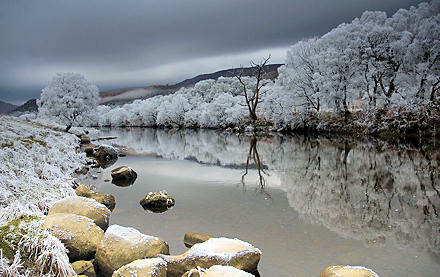 And then, all too soon, it was over, and we were driving down the A1 … A1(M) … M1 towards Hereford. 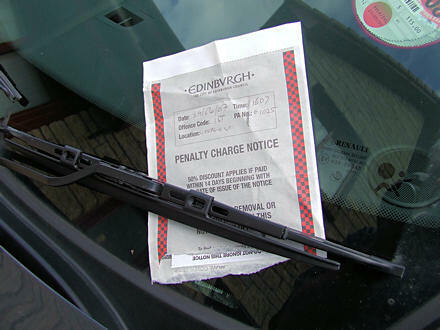 Today I received my first ever car parking fine. Bah! I had been visiting my Great Aunt Mary in the Corstorphine Hospital with my Mum, when we got a call from my sister Jenni. She was also in Edinburgh buying some clothes for a job interview, and we needed to get Mum and Jenni together on Princes Street before the next bus left for the Scottish Borders. So I drove off, heading for the parking spaces up the centre of George Street. “There’s one!” shouted Mum, and I duly and obediently pulled into it. But what I didn’t realise is that there are residents’ parking spaces on George Street, interspersed with the pay-and-display spaces and motorcycle spaces. And we didn’t leave Mum’s blue badge on the dashboard. So I got a fine: £60.00, reduced to £30.00 if I pay it within 14 days. And Mum and Jenni missed the bus. When my nephew Benjamin was learning to speak he couldn’t pronounce my name (Gareth) properly. Instead he used to call me “Geigy” (pronounced Guy-ghee). 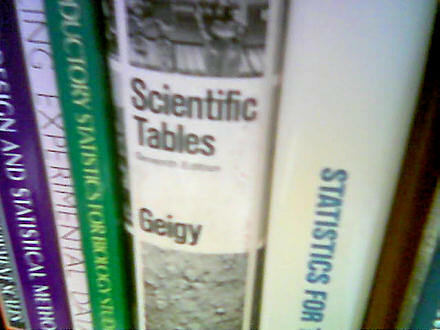 While I was lurking in some corner of the University a couple of months ago I came across this book: Geigy Scientific Tables, Seventh Edition. Yay! It’s my nephew’s made-up name for me. 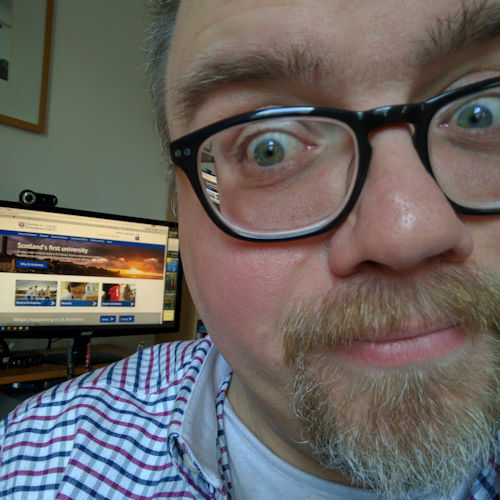 I’m famous … sort of. The purpose of the fish trap is to catch fish and when the fish are caught, the trap is forgotten. The purpose of the rabbit snare is to catch rabbits. When the rabbits are caught, the snare is forgotten. The purpose of the word is to convey ideas. When the ideas are grasped, the words are forgotten. Where can I find a man who has forgotten words? He is the one I would like to talk to.